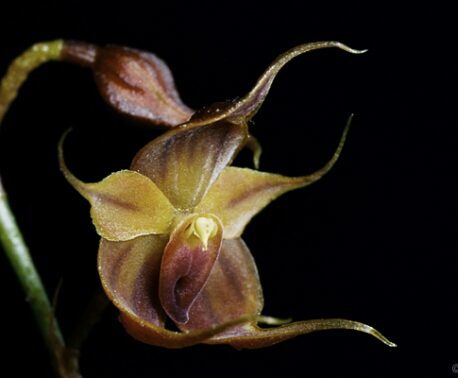 Two new species of plant have been recorded in reserves owned and managed by Fundación Jocotoco, a partner of World Land Trust (WLT) in Ecuador. During late October 2015, two prestigious botanists visited Jocotoco’s Río Canandé Reserve: Dr Bente Klitgaard from the Royal Botanic Gardens, Kew, and Dr Pablo Lozano, from the Ecuadorian Amazonian State University in Puyo. They visited the reserve with Nigel Simpson, board member of Jocotoco and Trustee of WLT. They explored the reserve to assess the state of forest conservation in the area. 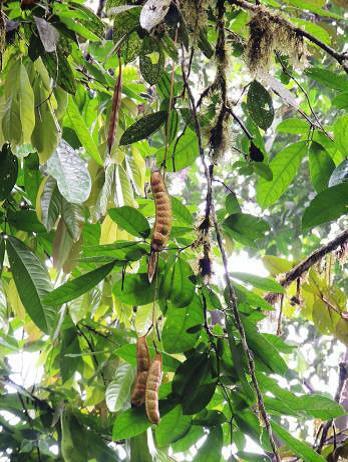 One of the primary findings was the presence of Ecuadendron acosta-solisianum, a species endemic to the Chocó. Known locally as guabo, the tree has not been previously recorded in the area. The timber from Ecuadendron is highly valued by loggers, which explains its disappearance from other areas of the Chocó. This recently discovered population may be the only one in Ecuador, and could help to guarantee the survival of the species. 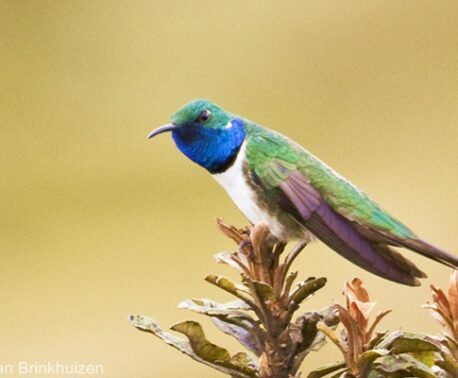 Following the international interest in the Canandé recording, it is hoped that the local authorities will support measures to conserve this iconic Ecuadorian species. WLT has supported conservation in Río Canandé since 2009, when a parcel of forest under imminent threat of clearance was saved. Burmeistera zamorensis was recently recorded for the first time in Tapichalaca, another reserve owned and managed by Jocotoco. It belongs to the bellflower family and it is only found in the Zamora-Chinchipe province of south east Ecuador. Researchers Nathan Muchhala and Alvaro J Perez published a description of the plant in May 2015. The plant is distinct from other members of the Burmeistera genus due to the maroon colouring of the underside of its leaves and their arrangement. Nectar bats are known to feed from the plant when it blooms at night, attracted by its musky odour. In 2003 WLT raised more than £20,000 to create a reserve adjacent to Tapichalaca in memory of Christopher Parsons. Rangers are integral to these discoveries, guiding researchers around reserves and helping monitor species. You can support rangers in Jocotoco reserves by donating to the Keepers of the Wild programme.